Cristiano Ronaldo was sent off on his first Champions League appearance for Juventus as a couple of penalties from Miralem Pjanic gave the Italian giants a 2-0 win in Valencia. 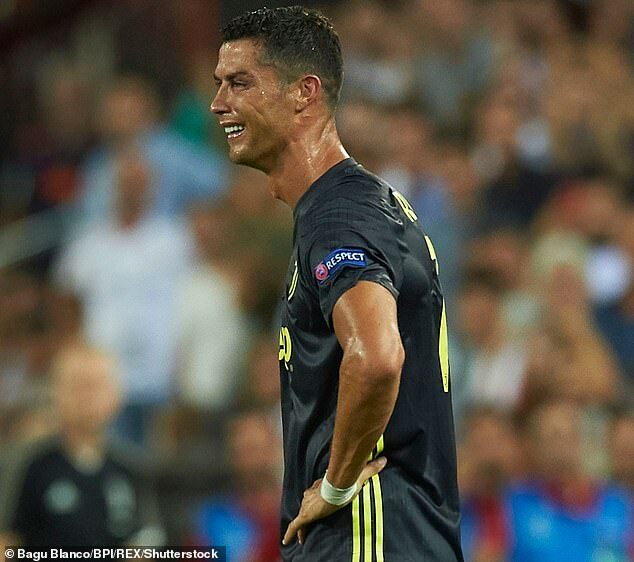 Ronaldo, the Champions League’s all-time leading scorer with 120 goals, was dismissed after just 28 minutes following an off-the-ball incident. 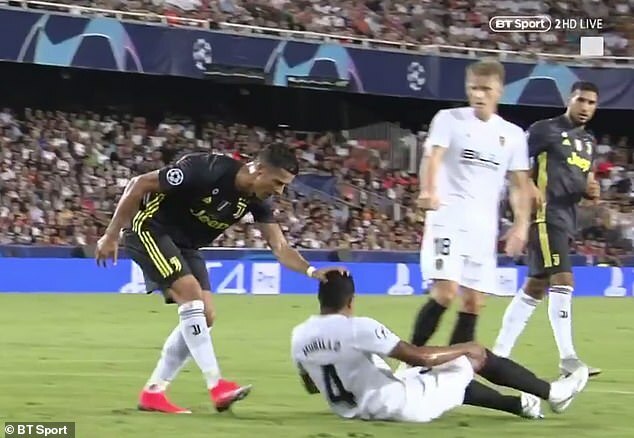 The forward appeared to put his hand on the head of Valencia defender Jeison Murillo, who fell to the ground. Referee Felix Brych gave Ronaldo a straight red card after discussing the incident with his assistant behind the goal. The Portuguese star looked baffled and kept protesting his innocence, briefly laying on the ground to express his disbelief. He was clearly distraught as he left the pitch, still shaking his head.